Cold and flu season are in full swing, and that means you may be reaching for pills, capsules, or liquid medications to get you through the day and to help you sleep at night. And while those medications are known for certain side effects, including drowsiness, they can also affect your oral health. Decongestants—Colds and flus cause an increase in mucus production, making it difficult to breathe properly. Decongestants can be highly effective at drying out sinuses, but they can also cause dry mouth. When saliva flow is reduced, oral bacterial growth can increase, which can lead to a higher risk of gum disease and tooth decay. Cough drops and throat lozenges—Whether you’re coughing or have a sore throat, a lozenge can help reduce your symptoms. But because most lozenges are made with sugar, they can cause tooth decay—especially if you use many of them throughout the day or leave them in your mouth for too long. 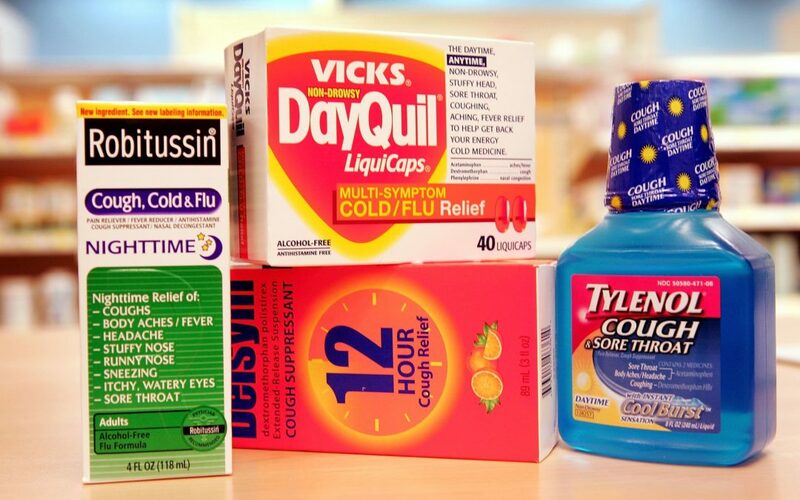 Cough syrup and liquid medicines—Cough syrup and liquid cold medicine rarely tastes good, and manufacturers often add sugar to improve the taste. In addition, many liquid medications contain alcohol. The combination of sugar and alcohol can lead to a dry, bacteria-coated mouth—and that’s a recipe for tooth decay. Fruit juice—Many people drink fruit juice, especially orange juice, when they’re sick. That’s because it contains high amounts of vitamin C, which is supposed to aid the immune system. However, acidic beverages can wreak havoc on tooth enamel. And when tooth enamel is weakened, teeth become more susceptible to cavities. Don’t let a cold or flu lead to other preventable oral health problems. Stay on top of your oral hygiene by regularly brushing and flossing—even when you’re sick, avoiding sugary lozenges and mouth-drying medications, and requesting a dental appointment for a routine check-up and cleaning by the Clarksville dental experts at 101st Adult Dentistry today.